Sket One has released a second set of his killer Condiment Junkie Resin Sculptures, which features some the artist’s most popular condiment designs! 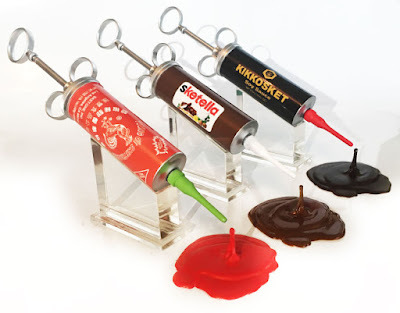 Now you can get your favorite bottles of mustard, relish, mayo and Kikkosket soy sauce transformed into “Junkie” syringes. 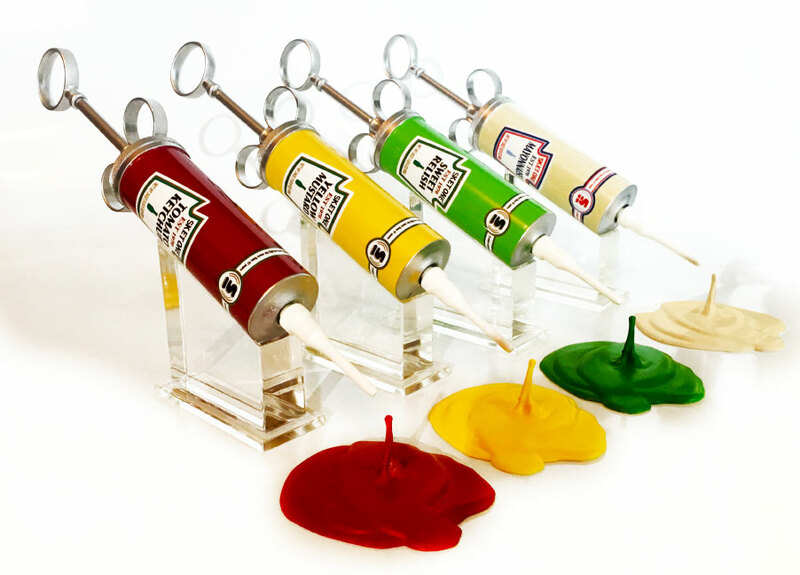 Each Condiment Junkie art collectible sculpture measures 12”w x 6.5”h, and includes a matching color drip puddle (signed on the bottom by Sket) and a clear stand for displaying your Junkie. All four of these new Condiment Junkie colorways are available now at the Sket One online store for just $150 each.